The conventional view is that intellectual property rights (IPRs) are the best way to promote innovation. Without the rewards that IPRs such as patents and copyrights confer, there would be little incentive to innovate, goes the argument. That, of course, is not true at all. There is an interesting universe of possibilities beyond intellectual property and, as this column has argued in the past, such rights are not always the main drivers of invention. Academia, which is actively engaged with this concept, has been coming up with interesting new concepts as the recent Yale Law School conference on Innovation Beyond IP did. Held in New Haven, US, one focus of the conclave was on the role the state can play in fostering knowledge creation and innovation outside the ambit of IPRs. There are many examples of discovery without IPRs—or in spite of it—and one case study that highlighted what the state could do in this regard was the WHO Global Influenza Surveillance and Response System (GISRS). Established in 1952, the system has linked 138 national influenza centres, six WHO collaborating centres, several regulatory laboratories and ad hoc groups to gather data and flu virus samples. The GISRS database has been providing real time surveillance information since 1996 through its Flu Network which tracks and predicts pandemic outbreaks. It also chooses the flu strains that go into vaccines each year and plays a critical role in getting the vaccines tested by regulatory agencies. The Flu Network was able to produce high-quality science without any recourse to IPRs. This was possible because an alternative information production system of “open science” was at work with state support. In her study titled “Bringing the state back in”, Amy Kapczynski, professor of law at Yale Law School and faculty director of the Global Health Justice Partnership, made a sharp but unfashionable point that problems cropped up only when IPR entered the picture in recent years. In fact, they actually caused a crisis in the network which had been historically free of IPR worries. This raises an interesting question. If the state is needed to enforce IPRs, which anyway create market inefficiencies, does it not make the state a plausible competitor to the market on efficiency grounds? 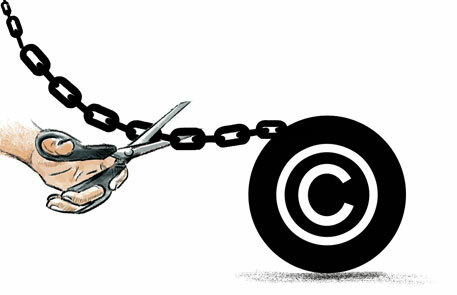 Why, then, should we use intellectual property rather than the state, asks Kapczynski? These elements alone would not be sufficient when the stakes are high as with the Flu Network. The support of institutions and the law would be vitally important with such projects, she argues. Therefore, ideas about the role of the state would have to be recast and re-imagined. Fundamentally, what has to change is the “reflexive pessimism” about the state that is shared by both the neo-liberal, pro-intellectual property camp and their critics. For both, the image of the state is of a bureaucratic Leviathan—inert, inflexible and corrupt—although that image was disproved by its role in the Flu Network. Both sides need, and do rely upon the state. Not just on any state though, but “a capable, responsible and empowered state”. Would that it were possible!